Congratulations to our U11 and U13 girls’ swim teams, who were overall champions at the Kilgraston Swimming Gala on Thursday, 31 January. In the U11 category, Eabha, Rachel, Abbie and Thea swam for St Leonards, securing top spots in the 25m Medley Relay, 25m Breaststroke, 25m Individual Medley, 25m Frontcrawl, 25m Butterfly and 25m Freestyle Relay. 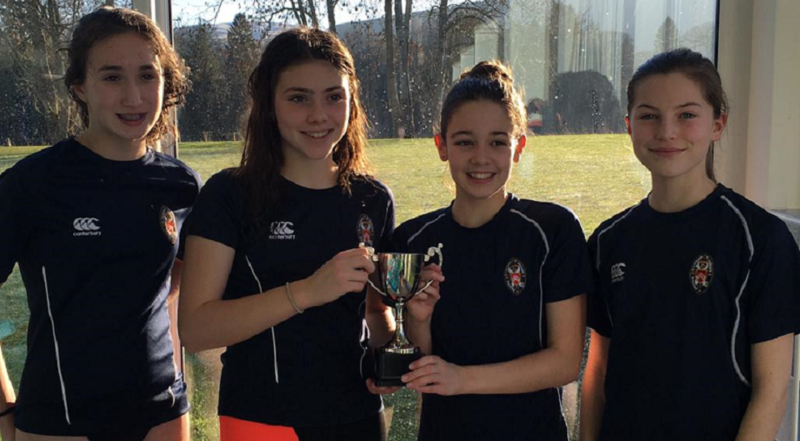 Fiona won the U13 50m Breaststroke, Milli came first in the U13 25m Butterfly and 4 x 25m Individual Medley, and the girls were top on the 4 x 25m Freestyle Relay. An absolutely superb achievement from the girls!